Author in the Spotlight goes international today as I welcome Croatian writer Dino Sić. As this is publication day for his book, The Lies That Kill You, I hope that he enjoys the day although as you will see from his answers, he may not have much time to celebrate! Thanks for joining me Dino. First of all, would you tell my blog readers a little about yourself? Thanks for having me, Joanne. I was born in Osijek, Croatia in 1994. I earned my master’s degree in journalism and public relations from Department of Culturology of Josip Juraj Strossmayer University in Osijek, and have published an academic article with my mentor. I’m currently studying for Ph.D. and doing everything possible to achieve my life goal and become a full-time author. Ever since I can remember, I have always liked to make up stories and characters, create different worlds and imagine devious twists and turns. I enjoy exploring the shadowy side of the human nature in my novels and am always trying to find out what makes them tick, what are their deepest and darkest fears and secrets and what’s going on in their heads when they’re alone. I believe anything is possible if you work hard enough and never give up. You just have to follow your dreams, do what you love and love the ones around you. When I was a kid, I used to watch a lot of soaps, which were my entrance to the world of storytelling. Not the greatest entrance, I know, but still. They taught me how to tell a story in an interesting and thrilling way. My dream is to become a screenwriter one day, yet that’s not easy to achieve, because to create a movie or a TV show, you need to get approval from the producers and collaborate with a whole bunch of other people, and when you’re writing a book, the only one you really need is you. That’s why I’m sticking to the novels for now. I’m a self-published author. I like the freedom that way of publishing ensures me, but I’m probably going to try to get a traditional publishing deal for my next book. It’s about a woman who wants to save her marriage and start anew after her mother dies from Alzheimer’s, but gets involved in a disappearance of her neighbour’s wife, which will force her to become a killer to save her family. It questions whether we can escape our past and build a new life or our mistakes will continue to define our future. It also questions what consequences our lies have on the ones we love. As a matter of fact, the current title wasn’t the original one. The novel was meant to be called When the Sun Comes Down, but after I gave it a little though, I realised that wasn’t the right option because it didn’t quite convey the genre. That’s why I changed it to The Lies That Kill You. My other option was The Lies We Kill Each Other With, which was kinda my favourite, but it was just too long and wouldn’t look good on the cover. I don’t really plan to celebrate it in any special way. I’ll probably be studying for my exams. I have a few ideas that I’m working on right now, yes, but I’m not still sure which one I’m going to pick. Yet whichever I choose in the end, it’s surely going to be another psychological thriller. 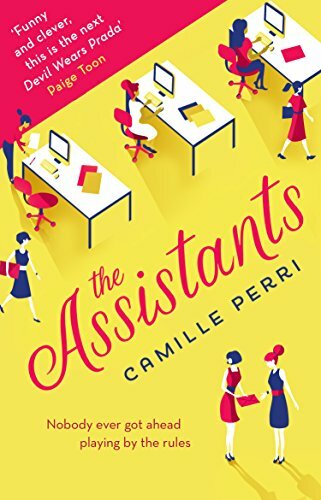 The Assistants by Camille Perri. It wasn’t perfect, but it was really current and eye-opening. 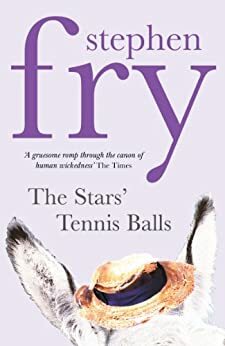 Right now, November 2018, I’m reading The Stars’ Tennis Balls by Stephen Fry. I’m also rereading The Thief by Ruth Rendell. After that, I’m probably going to read A Prisoner of Birth by Jeffrey Archer. 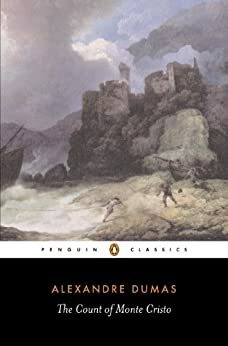 That would definitely be The Count of Monte Cristo by Alexander Dumas. It’s my favourite story of all time, and it’s 2000 pages long, so I wouldn’t get bored easily. Perhaps The Assistants that I mentioned earlier. I think it would work well as a film. And for the cast, I think Rachel McAdams would make a good Tina because she can be tough and sweet at the same time. 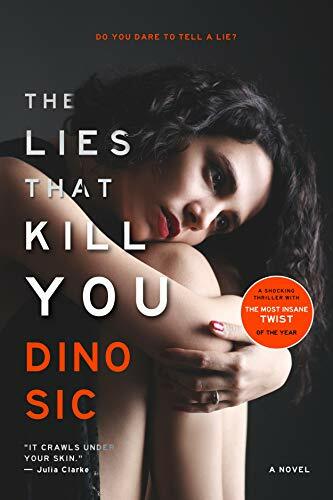 You can connect with me on Twitter @Dino_Sic, Facebook @dinosicauthor, and Instagram dinosic_author. If you want to know more about me, please visit my official website: https://dinosic.weebly.com/. I would like to be someone from Harry Potter novels. Harry or Ron perhaps, or any other student just as long as I can visit Hogwarts and learn magic. A must-read for fans of Shari Lapena, BA Paris, Paula Hawkins, Megan Abbott and Liane Moriarty.